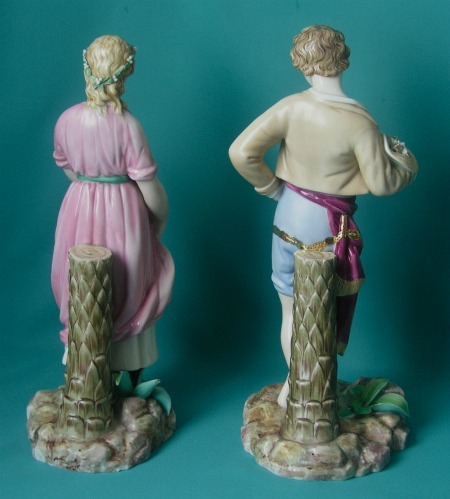 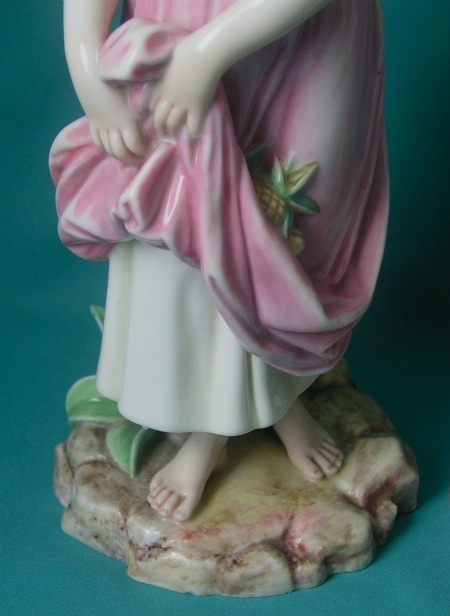 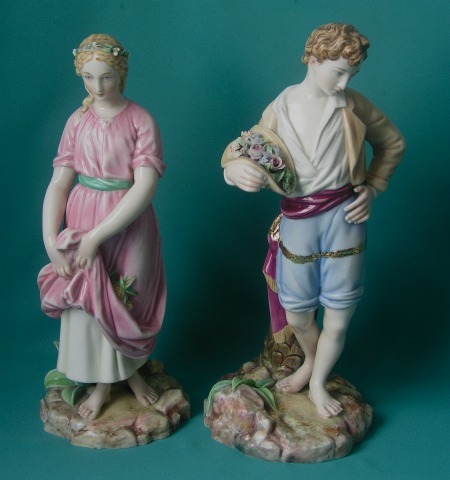 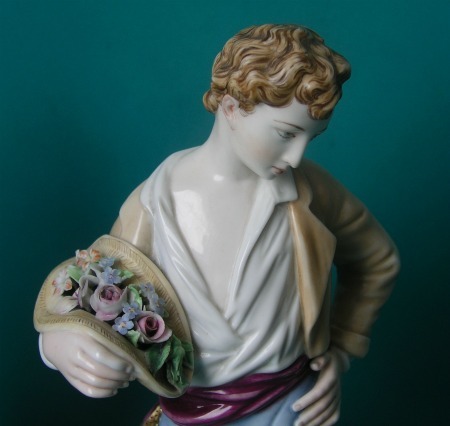 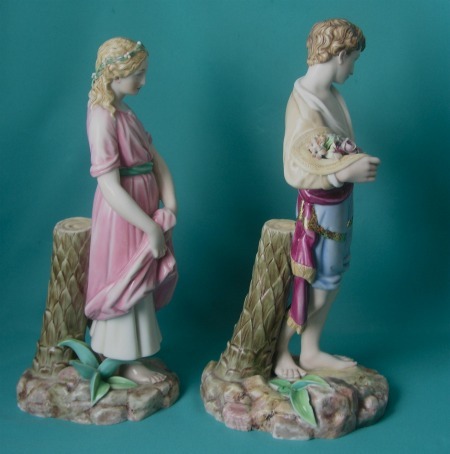 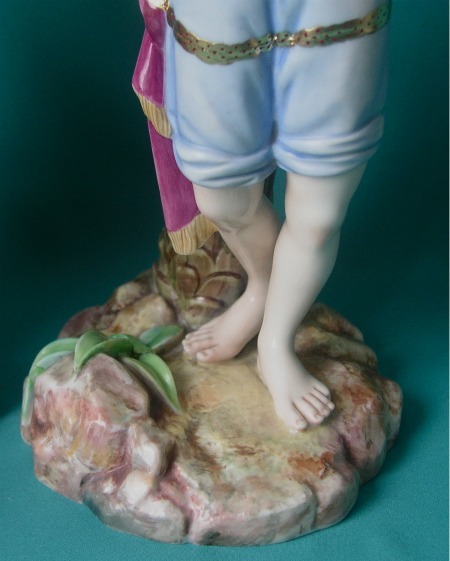 A Pair of Royal Worcester Porcelain Figures c.1865, modelled as a boy and a girl,painted in pale coloures, the boy holding his hat, full of flowers, the girl holding her dress, with pineapples inside. 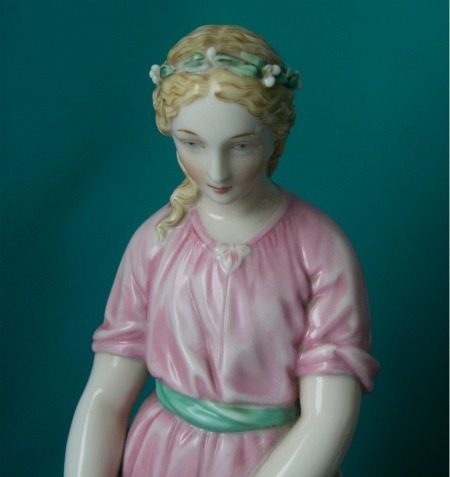 Dimensions: 33 cm high. 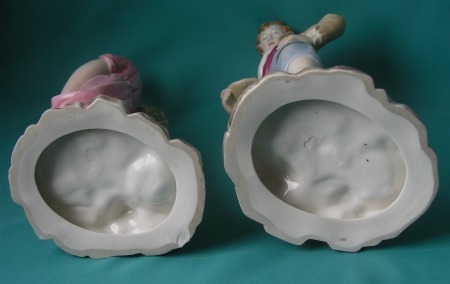 Condition: Minor damage. 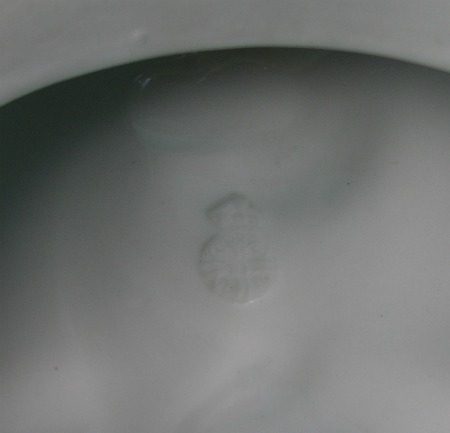 Impressed marks on the base.